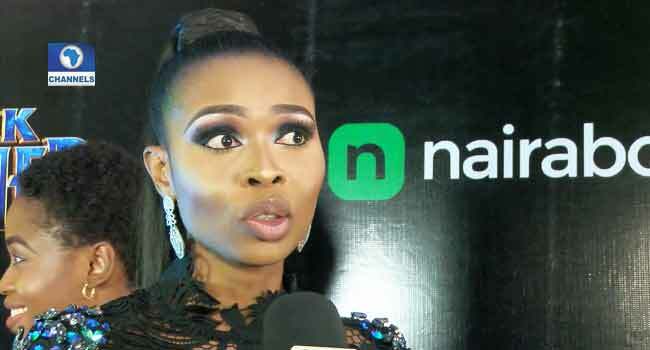 Nigerian Singer and Actor, Ayoola Ayobami has applauded the team of actors whose efforts contributed to making Marvel’s Black Panther movie, a success. In a chat with Channels Television’s Entertainment news at the Lagos screening on Tuesday, (February 13), he said their involvement in the movie might just be a game changer for their career and he wished he was also part of the team. Lagos screening of the Black Panther. “I envy everyone who has been a part of this project, it’s a healthy envy though (he laughed). For the rest of their lives, this goes on, on their resume that “I was part of the team that brought African Superheroes to the forefront”. “I wish I was part of it but I’m sure there are other histories that we can be part of,” he said. 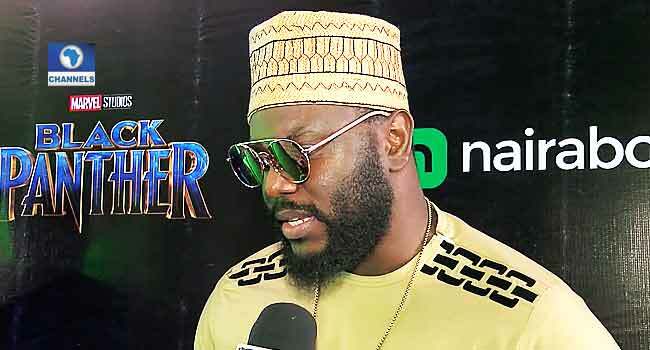 Ayoola, who is already working his way up within the Nigerian film industry, (with movies such as popular web series: Skinny Girl in Transit, said he is indeed proud of the fact that Africa is being brought to the fore with the first of its kind (superhero) movie. “We’ve always fought for this voice and to see it come to light is just a huge success to all those who have given their lives. It might look like I’m taking it far but I’m not. This is exactly what Martin Luther King fought for. “This is exactly what Mandela fought for and a lot of people have given their lives for, so to see that it is coming to fruition like this is a fantastic feeling,” he said. 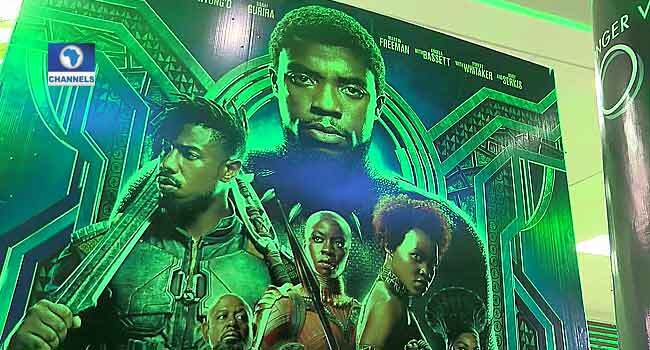 The movie which has been described as the world’s biggest black superhero film, screened officially for the first time in Lagos to guests at the Genesis deluxe cinemas, Lekki. Guests at the screening of the Black Panther. Celebrities such as Adunni Ade, Timini Egbuson, Stephanie Coker, among others were also in attendance. The pre-screening reception was designed with the theme of Wakanda, a fictitious African country where the plot is sited. 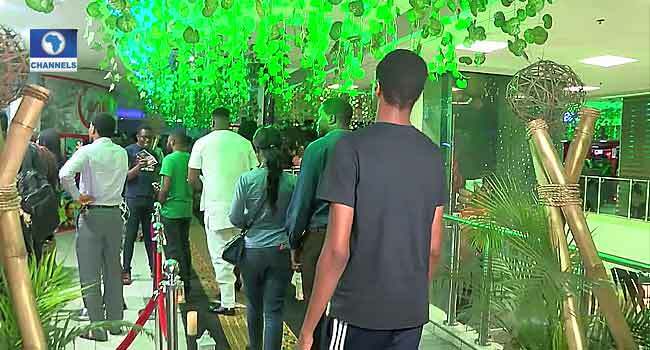 The highly anticipated movie which tells the tales of an African country from the perspective of affluence, light age development and technology was welcomed with unconditional approval. More exciting for some fans was the fact that Nigerian actors Sope Akuko (Female) and, Femi Olagoke (Male) were among the cast. Aluko played Sharman, a powerful leader who calls upon nature’s spirit for aide or guidance, Olagoke appeared as a Nigerian militant on screen while also receiving off screen credit in stunts. A distributor, Joy Odiete, also expressed delight in the fact that Africa in being portrayed in such good light. She said: “For a long time now, Africa has been portrayed as ancient but Black Panther is redefining and trying to take away the thought that we are backwards. So it’s really historic for us to witness this. “We are really proud to have the Black Panther movie being released at this time of the year which is the black history month”. The movie also featured Chadwick Boseman as the titular character, Forest Whitaker as Zuri, Michael B. Jordan as Eric Killmonger and Angela Bassett as Ramonda. It also stars Sterling K. Brown, Michael B. Jordan, Lupita Nyong’o, Florence Kasumba and Danai Gurira.